Working with better guesses: Sizing up startups targeting emerging markets. Developing new business in emerging economies, especially rural ones, is hard. 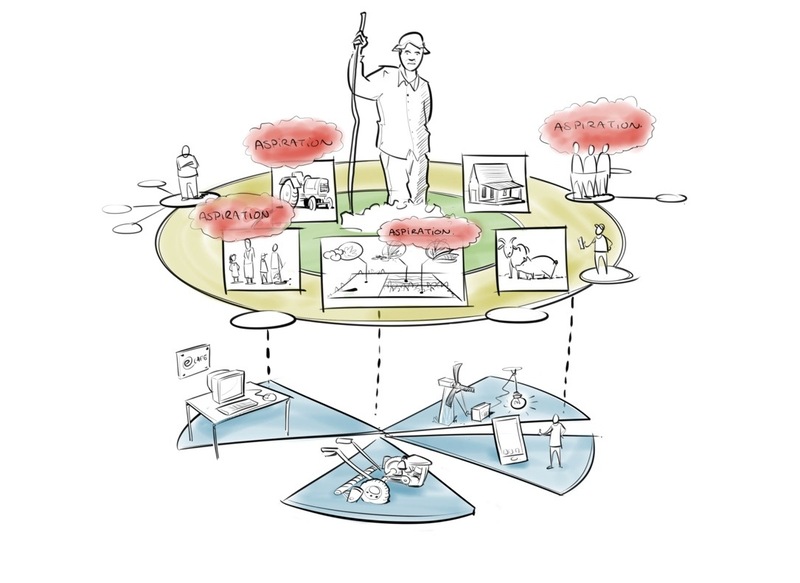 An entrepreneur has to create products and services that are able to withstand the vagaries of the emerging market context: no electricity, no spare parts, hardly any logistics infrastructure, customers with very tight budgets, and with an over responsive sensor for glitchy value propositions, etc. Just like for the entrepreneur, investors also have a hard time figuring out how to get a foothold and support successful emerging market business. When can a business be considered successful in these overly tough market conditions that make business development so risky and hard? On what basis can they judge that a business has made meaningful progress? This question came to me when I encountered a new entrant to the Unreasonable Institute called Juabar. 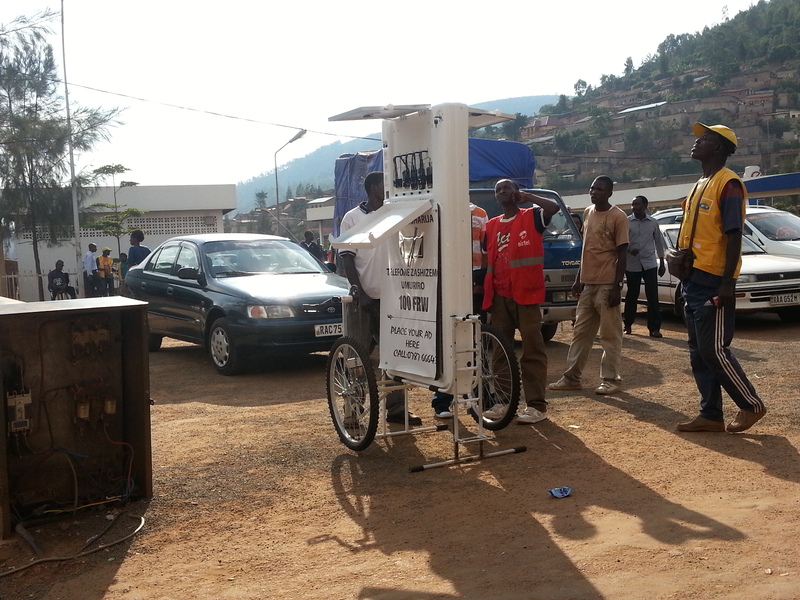 JuaBar is a social enterprise startup building a pushcart mobile phone charging station in Tanzania. They intend to implement a franchising system to entrepreneurs who want to develop a business out of charging peoples’ phones. In this article I will take this case of solar powered push cart solutions to illustrate the investment decision problem, and what I suggest is needed to overcome it. JuaBar is not the only startup working on this specific idea. There is another startup called ARED, which is developing the same concept, but then in Rwanda. Both startups have been at it for several years, with Juabar starting about 6 months earlier. Essentially ARED and Juabar are building exactly the same business, if you look at the pictures below, they look more or less the same. Given that these businesses are so similar, how would an investor choose which startup to put their money in if they were given the choice to invest in either? What would they need consider? Entrepreneurs in this market space operate on low and irregular income streams. They can use the pushcart to create multiple revenue generating opportunities like selling accessories, prepaid cards, and other services, which is crucial for keeping your livelihood afloat. ARED is more mobile: it can be mounted on a bike. Assumption: It’s likely to be beneficial to the entrepreneurs because she can cover large market areas. ARED has developed a technology for faster charging. Assumption: Both franchisee and their customers benefit from that, and think it is really important. ARED is explicitly promoting the advertisement option as a way for additional revenue generation. Assumption: this advertising creates conversion for advertisers, and enables the franchisee to directly earn extra cash. The first 2 features make sense. You can intuitively see them add value. Yet at the same time they are features, which can be copied quite easily. They won’t protect ARED’s advantage for long. But what about the third one? Growing the franchise could create a defensible moat for generating advertising revenue that competitors can’t readily copy. It seems like a really powerful feature, already glancing at the next stretch in developing the business after it would have successfully expanded from its current investment round. Successfully growing ARED could mean that a new, highly granular advertising channel with ubiquitous emerging market penetration will be created if ARED succeeds in achieving growth. Imagine an ARED cart on every meaningful market place in East Africa! This coverage would be the key resource that keeps the competition at a distance; something any investor drools over. But despite the attractiveness of this advertising channel opportunity, the make or break question here is whether the basic premise of advertising works: does it create conversion for advertisers with ARED’s low, and uncertain income target market? Is it an opportunity worth investing in to achieve that scale? What can we put to the table now to somehow back the validity of this assumption? Looking for elementary market insights from elsewhere. To back the opportunity of the advertising claim we need to look elsewhere, and move to Monrovia, Liberia, where we will find Alfred Sirleaf. Alfred is a famous figure on the market, because he mans a blackboard newsstand. Alfred scans the newspapers each day for interesting stories, and writes them up on the blackboard for people who can’t afford newspapers. He developed this during the Liberian civil war, when news was scarce. But currently in peacetime, it is still very much in operation. The interesting thing about Alfred’s business for our pushcart solar phonecharger case, is that Alfred offers advertising space with his blackboard. Apparently there are advertisers that get some kind of conversion from advertising to people who can’t afford a newspaper! Why would they otherwise pay for using that space? Back to our discussion on ARED, you can see the similarity in advertising opportunity with Alfred’s newsstand. Both attract attention on busy marketplaces. Though this is still an open hypothesis about conversion, it could imply that there is a real case for the ARED advertising solution, and that it is investment worth pursuing. From the arguments it is becoming clear that ARED is playing a stronger game than Juabar. It might be that Juabar is banking on its focus on rural areas, given that ARED is currently predominantly active in urban areas. If ARED is able to grow fast however, and expand beyond urban limits, then it will have created these advertising channels, whose ubiquity would make it a winning, maybe even invincible, business model. But the point of my article is not about qualifying one idea over another. Juabar and ARED serve as a case about making better guesses on developing a business, sourcing insights on which to base those guesses, and showing what these insights could do to make better business decisions by entrepreneurs and investors alike. We need to move beyond emerging market startup ecosystems that have to scramble for those valuable business model insights each on their own. It takes such a tremendous amount of resources to understand and validate these insights. You would spend equal, if not even more time understanding the marketing basics in your context, rather than actually building your business. This is a big constraint on business development, and it undervalues the potential of startups. The good news is though that the market insights required to develop successful business at scale in emerging markets are already out there. They’re with shopkeepers, merchants, existing service providers, etc, currently running their businesses (remember our case of the Agrovet in Karatina). What if we had the chance to reach out to Alfred and discuss advertising conversion, and learn from him on what works and what doesn’t? Such insights should be collected, categorized, and made available publically to any entrepreneur and accelerator program that supports startup entrepreneurs in emerging markets. In no way will this substitute for the groundwork that an entrepreneur needs to make to understand their customer. But based on such insights, entrepreneurs can make better bets, and everybody would get a more informed shot at developing metrics that are key to understanding business performance in emerging market contexts. It won’t make a bad business good, but it could make a good business better. Now that you made it this far in the article, I would like to hear from you as a reader, what you think about a repository where validated emerging market insights (like on marketing, distribution, trust, and methods of market size estimation) are shared open source, and free for anyone to use. Would you think that it would be worth the investment to set up such a repository? Are you familiar with the lack of these insights? Would it support business development? Are the examples I have provided on this blog already triggering your next business hypothesis to test? Please do share your thoughts, and I hope to be talking with you soon! [post publication edit: I have been in touch over email with the founder of ARED: Henri Nyakarundi. Henri emphasised that ARED’s strategy is to develop many more functional, income generating opportunities with their hardware for their franchisees. Currently they are exploring opportunities to build in WiFi connectivity into their cart, providing the growing population with smartphones access to the internet. 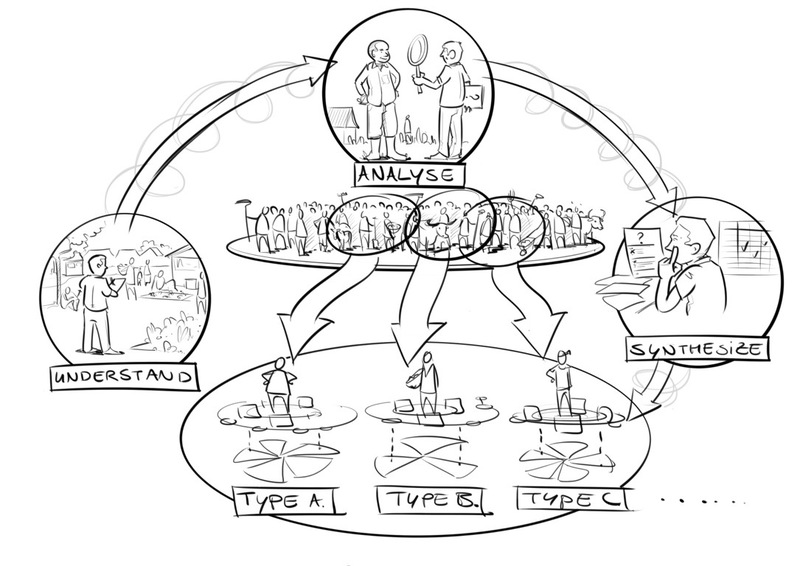 The idea would be to have the franchisee function much like the Grameen Foundation’s Community Knowledge Worker, a human interface to guide people around the internet. This is a very important gateway for connecting people who are as of yet unfamiliar with what the internet is, and what it can do for them.